St. Luke's Health System CEO Dr. Melinda Estes has been named chair-elect designate of the American Hospital Association's board of trustees, the organization announced Thursday. Estes will become chairman when the current chair-elect, Brain Gragnolati, president and CEO of Atlantic Health System in New Jersey, ends his term as chairman in 2020. 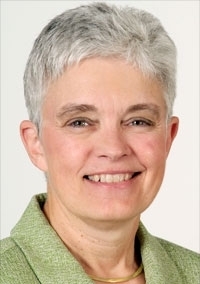 Estes currently serves as a member of the AHA board of trustees' executive committee, where she led the group's effort to strengthen physician engagement within its ranks. "As a physician leader, I look forward to working with hospitals and health systems across the country as they continue to drive the transformation of care that improves the lives of patients and advances health in America," Estes said in a written statement. Her appointment was announced at AHA's annual leadership summit in San Diego on Thursday. A board-certified neurologist and neuropathologist, Estes since 2011 has led Kansas City, Mo.-based St. Luke's Health System, a 16-hospital, not-for-profit, faith-based care network. Prior to joining St. Luke's, Dr. Estes served as president and CEO of Fletcher Allen Health Care in Burlington, Vt., and previously served as chief medical officer and CEO of Cleveland Clinic Florida. Estes is ranked 28th on Modern Healthcare's 50 Most Influential Physician Executives and Leaders of 2018.